The Board of Executives consists of students with backgrounds in many different subject associations. The beginning of the year has been a busy one for the new Board of Executives. Orientations for the new posts and organizing the first big events have taken up a lot of time from the board members’ busy schedules. However, now that January is over, our new board members have been able to start working in their own fields for real. According to the new strategy, the main theme of the year 2018 is to develop JYY’s brand and visibility. The most important instrument for improving our brand and visibility is one of the projects listed in the action plan: a new communication strategy. The plan is to create clear instructions to guide the union’s communication on all media platforms, and thus make the communication more engaging and consistent. The project is aimed to help with an issue that was widely discussed during the election: how to make students interested in JYY and understand the extent of our operation. The first steps in this direction have already been taken, since the second meeting of the year was already live streamed. The student organization sector’s actions this year are, to some extent at least, navigated by a council motion from last year. The motion initiated that the time-consuming process of applying for JYY’s annual general grant should be made easier and, in addition, that the board should look into new ways of supporting student associations. The work has already been started by, for example, coming up with new training and discussion sessions for the organizations. The board of directors of the student newspaper Jylkkäri held their first meeting a couple of weeks ago, and AU’s Riikka Maukonen was chosen as the chairperson! The year is going to be an eventful one for the newspaper, as the plan is to renew the appearance of the paper. 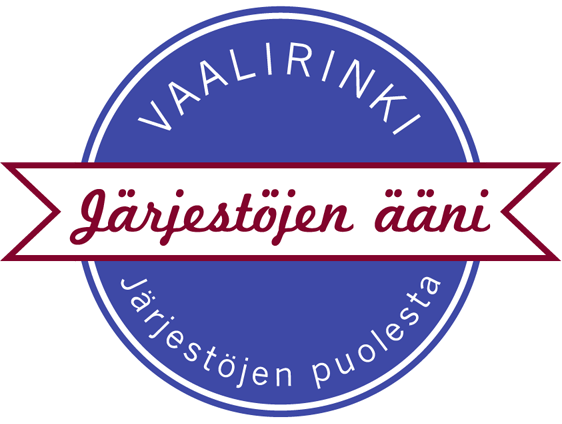 Jylkkäri has looked the same for years now, so it is a high time to make the paper look more fresh and more easily approachable. A task force for the appearance makeover is being set up at the very moment, and it will consist of members of the board of directors, journalists and active assistants of the newspaper. This year the advocacy sector has its hand full as well. The most important project of the year is writing a policy paper for JYY. The policy paper will set guidelines for all of JYY’s societal influence work, and hence be an irreplaceable device to help the future boards in forming the union’s official alignments. Many other student unions already have a policy paper in use, and it can make the work of the board members noticeably easier. In the future the board can rely more and more on the guidelines set by the policy paper to form their official opinions, rather than having the council vote for every single alignment. Writing the policy paper was kicked off with an open-to-all brainstorming workshop a couple of weeks back. In the workshop the participants were able to express even their wildest ideas for the paper, and the event was a great success. The next step in creating the policy paper is to form a parliamentary working group with members from each council group. The actual writing of the policy paper will be done by the parliamentary working group and a group of board members. The finished policy paper will be ratified in two subsequent council meetings in the fall. If the policy paper project turns out successful, we will have created a document that will shape and support the union’s influential work for years to come. In the sector of corporate relations a new three-member team was created to carry some of the workload. The brand new team kicked off the year with the recruitment of sponsors for the upcoming anniversary dinner. The goal is to create new long-term relations with local companies and join forces in organizing trainings and events during the year. Successful work in the corporate relations sector can help shape and develop the union’s operation for the future. The recruitment of the tutors for the fall semester has started in February, and in March the sector will be recruiting senior tutors to help organizing the tutor camp and train new tutors for their duties. In addition to regular tutors, the student union also recruits international tutors and sports tutors, and the goal of the year is to develop cooperation between all the tutors and JYY. Also, the sector is working on developing the tutor training process, defining the role of the student union in the tutoring field, and organizing a celebration for our tutors to reward them for their training. The culture sector focuses on organizing different kinds of events during the year. The first big events are the union’s 84. anniversary dinner in March, the rock festival Jyrock in April, and Amazing Race Jyväskylä on May Day eve. Some smaller projects are also under work at the moment: flea markets arranged together with the environmental sector, a semester kick-off party in the fall, and a pre-christmas party at the end of the year. A board with two culture correspondents has been working well so far, since it is now easier to share the workload and the two correspondents can come up with an even more diverse set of events for the members to attend and enjoy. In addition to all of the above, the Alvars of the board will be working on many other projects and tasks, both within and outside of their own sectors. To find out what is happening in JYY, show up to the monthly council meetings or, if you would rather keep up with JYY from the comfort of your own home, open Facebook to find a live stream of the meetings. Feel free to contact the board with any questions you may have. Julkaistu 26.2.2018 kategoriassa Yleinen, kirjoittanut tokaeepe.